On the 25th anniversary of Operation Deepscan, The BBC have run an article and podcast on the Loch Ness Monster worth reading and listening to. Adrian Shine is interviewed on his times at Loch Ness and his views on the 79 year hunt and what may constitute the Loch Ness Monster. Jonathan Downes of CFZ also contributes. 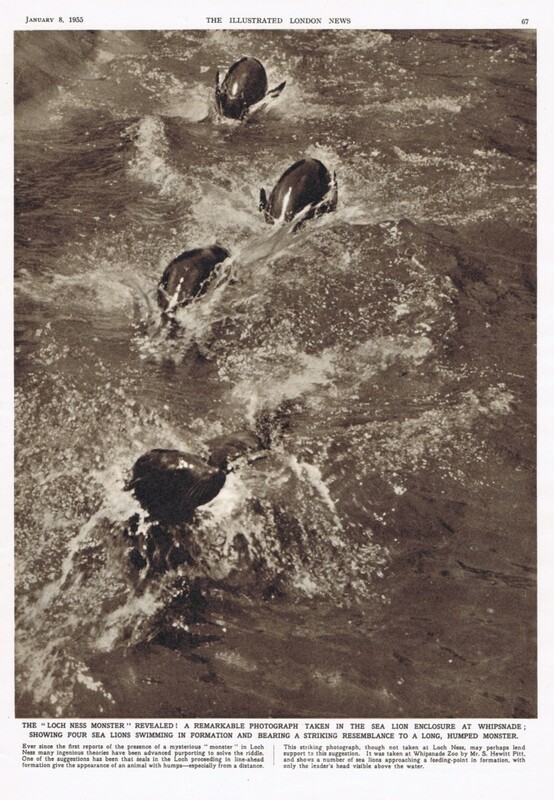 Nevertheless, Shine says it is hard to dismiss "the honesty and volume" of eyewitness testimony of the Loch Ness monster. Now this raises a question with me. Adrian is honest enough to say he doesn't quite know what these sonar contacts are telling him. Yet, he could have simply said it was a seal or his favoured sturgeon. But it seems these explanations are inadequate as it was a bit deep for a seal (and did anyone in that mass of boats see a seal surfacing - as it must). As for a sturgeon, again I guess it did not pass muster. So, fair enough, it was marked inconclusive. But 25 years on, should it still be marked inconclusive? After a quarter century, has no progress been made on what a seal sonar signature looks like or how a sturgeon would behave in Loch Ness? Perhaps the "inconclusive" tag is better served with a "waiting for an explanation" tag. But if you run out of "normal" explanations, should there be a "sell by date" on them and tentatively conclude it could be an unknown and animate object? P.S. They mentions "Doctor Who and the Zygons" which features a rather threatening Nessie. The sooner they get this on DVD the better ... perhaps next year? I am finishing off part 3 of the Lachlan Stuart series, but came across some small items in the world of Nessie worth putting out. The Scottish Screen Archive has a piece called "Ferguslie Mills outing to Inverness, July 1936". You can view it here. You can slide the film bar to 4:25 for a minute's worth of our works outing surveying Loch Ness at Dores Bay. They have a look out for Nessie and with a group shot at the end you see Dores Pier in a much better state to the few rotten posts that it is now. The blob in our still frame above is not Nessie! Well, some people think the Loch Ness Monster is a pinniped of sorts. This photo seems to offer proof of a serpentine seal but is in fact a shot of appropriately lined up seals having some fun at Whipsnade Zoo in 1955. I don't think any seals that ventured into Loch Ness have ever pulled off such a stunt in front of those incredulous humans - but who knows? 3. PHYSICAL PROOF OF NESSIE? Legend has it that these are nose hair from the legendary Loch Ness Monster. We got these from a guy, who knows a guy, who knows a guy, who claims to have seen the monster on three occasions. A few years ago, it reared up next to his boat, its head only inches from him, he grabbed out at it to fend it off and grabbed some nose hair, before the monster returned to the murky depths of the loch. This man wishes to remain anonymous and this is all we know of the story. He passed them on to an ‘aristocratic’ collector who kept the hair for some years, in his collection of weird and wonderful stuff, he gave it an artist friend of his. He now has decided to sell them, he also wishing to remain anonymous has asked us to list them for him! Those who have spent years, nay decades, at the loch looking for that final physical proof may be a bit miffed to be upstaged by an eBay entry beginning bids at £1. But if it's the real deal, expect bidding to go into the tens of thousands. This could be a valuable addition to a cryptozoological museum. No, I am not the seller and I don't plan to bid! POSTSCRIPT: Nessie's nasal hairs sold for the princely sum of £6.50.